e-licktronic Forum • View topic - Exploring other enclosure options. Has anyone explored other options for the enclosure? I'm not so fond of the acrylic style cases because they're not scratch proof, impact proof, nor chemically resistant. I like to build stuff that lasts "forever". Those panels are scratch and chemical resistant. But of course thats only the front panel. 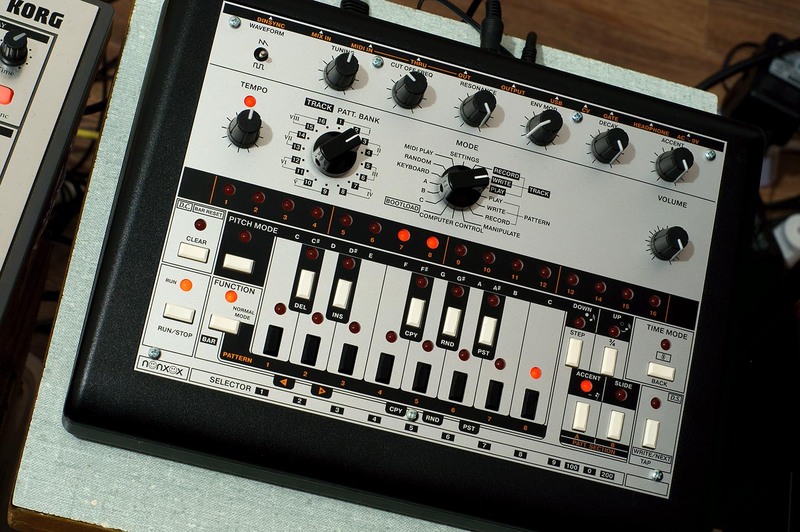 A panel like that (in the appropriate 808 style), combined with a sturdy plastic or a nice wooden sides case, would be lovely. I guess something like the Hammond 1441-32BK3CWW may fit, though a bit wide. I'm sure there's other options, this was just the first site I checked. Anyhow, I wonder if anyone else is doing something like that. Re: Exploring other enclosure options. I agree with your statement on the acrylic case. it should be delivered this afternoon, i will give a feedback then. In my studio only mutable instruments can have the acrylic enclosures! so, i've received Yocto and Mouser packages and i can certify that this steel enclosure http://fr.mouser.com/Search/ProductDeta ... 1441-30BK3 is just PERFECT for the job. the height of the Yocto PCB perfectly fits with the edges of the enclosure (a gap of 2mm between enclosure and PCB edges). using extra slim transformer, you can include the power transformer inside the unit too. julienvoirin wrote: so, i've received Yocto and Mouser packages and i can certify that this steel enclosure http://fr.mouser.com/Search/ProductDeta ... 1441-30BK3 is just PERFECT for the job. the height of the Yocto PCB perfectly fits with the edges of the enclosure (a gap of 2mm between enclosure and PCB edges). Great, really looking forward to the pics. What front panel are you using.? 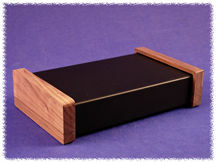 Hello there, I m also interrested in building my Yocto with a metal enclosure, and why not walnut side. Well, it appears that I can order an Hammond 1441 BK30 for quite cheap (30 euros / 35 dollars), but still have to make all the cutting/drilling . Ok so as far as I can remember those enclosure were ordered quite simply, and for around 20/30 euros each. Those were made of steel with varnish, so they look quite rough (raw ?) but anyway I m almost sure that it can be asked with epoxy on it. That's for the information, the thing I m not familiar with, is how to you build the cutting plan to send it to the factory ? Is there somewhere a place where I can find the EXACT front view of the yocto or better, a file with all the needed cutting ? I m french so as you know we are poor english speaking for most of us, I apologize for this, but if I can help in any way for this project just let me know. That’s a nice installation that you designed. team work , the electronic part was done by a freelance, and all credit goes to the artist, we are just the little hand ! I m looking forward with the factory, what do they need, how much would it cost, etc ... hope to come back with more news asap. Any information would be interessting .